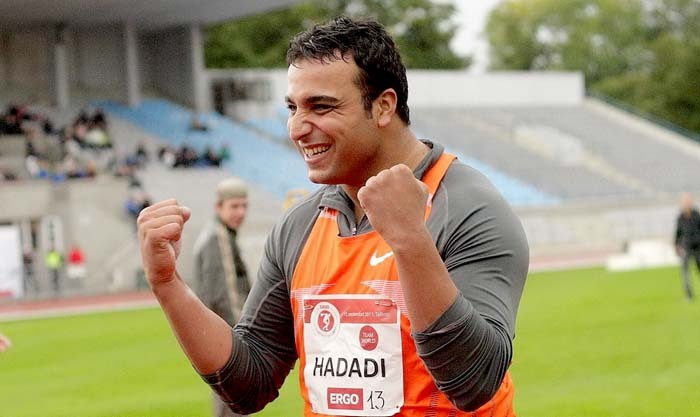 Triton Invitational meet was held today in California and Ehsan Hadadi won the meet with 67.04m. 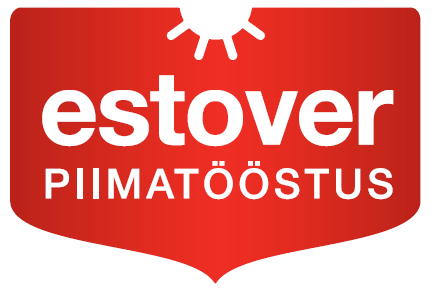 Sam Mattis was second with 66.29m, Reggie Jagers 65.12m, followed by Daniel Stahl 64.94m, Simon Pettersson 64.58m, Daniel Jasinski 63.77m, Rodney Brown 63.16m, Nick Percy 60.98 and Niklas Arrhenius 60.34m. Commonwealth Games men discus final was held today in Gold Coast. The competition started with many good throws - Fedrick Dacres 65.55m, Apostolos Parellis 63.61m, Traves Smikle 63.21m and Matty Denny 62.14m in the first round. 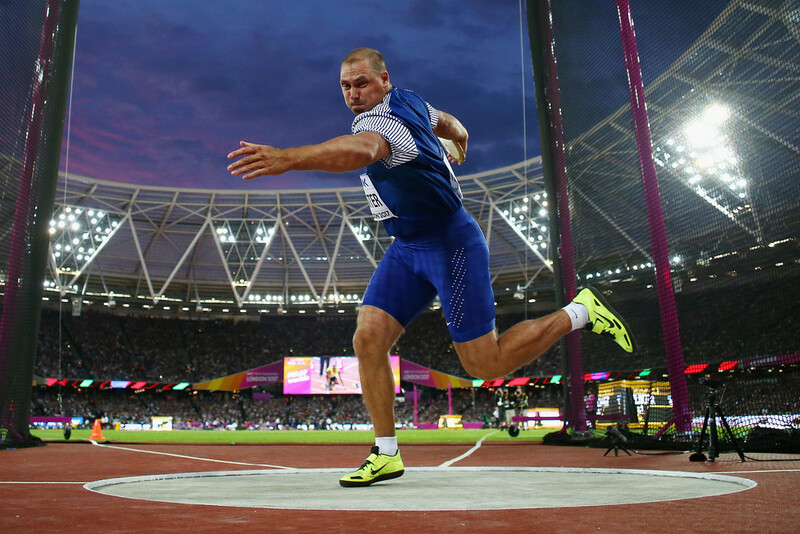 Dacres improved on 2nd round to 66.09m, and then on 3rd to new Commonwealth Games record of 68.20m. Traves Smikle improved to 63.83m and Matty Denny 62.53m on the 3rd round. Smikle again improved on 4th to 63.98m and the leader Dacres had a strong 67.14m. Dacres dominated the meet with another huge throw on the 5th - 67.51m and 65.00m on last round. So all 6 attempts from Dacres would have secured him the gold medal. 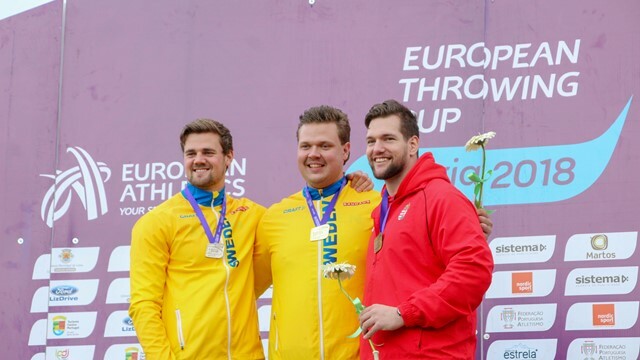 European Throwing Cup was held in Leiria Portugal last weekend and young Swede Daniel Stahl opened his season with 66.81m and victory in rainy conditions. The biggest surprise came from Stahl´s training partner Simon Pettersson, who improved his lifetime best to 65.81m, which gave him a silver medal. The Swedish duo was followed by Janos Huszak 63.45m, Olympic Champion Christoph Harting 62.88m, Viktor Butenko 62.61m and Lukas Weisshaidinger 61.82m. 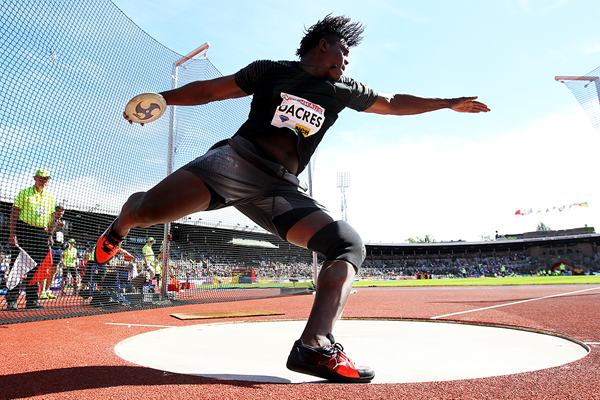 UPDATE: Fedrick Dacres result 69.83m was cancelled due to that discus was weighed just 1g less than 2kg. That means the result is cancelled. Jamaican Fedrick Dacres competed yesterday at King of the Ring meet in Kingston and won the meet with an amazing new National Record and PB 69.83m. Dacres has had already a great start for the season with meets in January - 68.08m and 66.90m. And now at this meet he added almost a meter to his previous PB set in 2017 (68.88m). 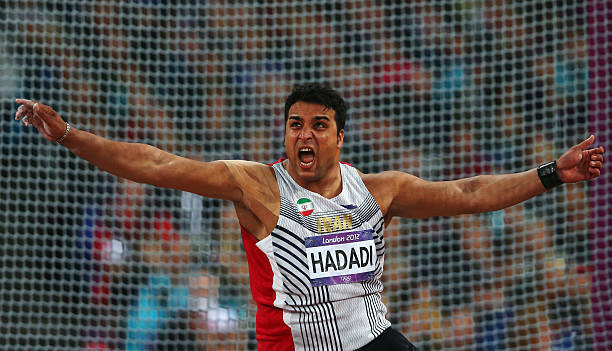 With this result, Dacres becomes only 4th athlete, who has thrown over 69m at age 23 or earlier - Georgiy Kolnootchenko 69.44m (03.07.1982), Ehsan Hadadi 69.12 (in 2008) and 69.16m Yuriy Dumchev in 1982. Gerd was 12th at the final but got pretty good throws after London - 64.56m at Skolimowska Memorial and 63.69m at Pärnu throwing meet. All together Gerd had 11 meets this season and he continued his over 60m meets results in a meet series. As today, Gerd has thrown over 60m in 319 meets in a row (it started 20th August 2002). Gerd is ranked as no 12 at World Season list 2017.